I was hooked on to Alexander McCall Smith's 'The No. 1 Ladies' Detective Agency' series almost as soon as Book 1 had come out. There is something about the slow, easy pace of the book that just evokes long, sunny days under large trees, daydreaming, drinking endless cups of tea, as you watch the hot, dusty summer of Botswana pass by. I didn't grow up in Africa, but the weather in India was pretty similar and while there wasn't much time during schooldays to do the whole 'lying under a tree' thing, the holidays were a different affair. Most summers, as soon as exams were done, we were packed off to my Mai and Aba's (my maternal grandparents) farm, an hour or so outside Mangalore. It was an idyllic location for two rambunctious kids needing to run off some energy, with lots of woods, hills, ponds and lots of trees to fall out of swing around on. My Mai and Aba were hard workers and were up at the crack of dawn every morning. Us lazybones were up an hour or so later, by which time Mai had made steaming hot coffee or tea and a substantial, hot, cooked breakfast (I've just realised that I don't really have very many Indian breakfast recipes on here, but that's just down to my complete inability to rise at any reasonable hour in the morning, rather than the lack of recipes, per se...) Once breakfast was done, we were then let loose to pretty much our own devices, while Mai and Aba went about their daily routines and that's where the daydreaming and lying under the trees part began. One of the few chores we did have to do, during our time at Mai and Aba's, was to head over into the woods and collect cashew nuts. As the fruit ripened on the trees, the nuts matured, and when the fruit was perfectly ripe, it fell off the tree. Our job was to scout around the base of these cashewnut trees and pinch off the nut from the fruit. We would then carry bagfuls of these nuts back home, where my Mai would then spread them out to dry on straw mats in the sunshine. After a few days of drying the nuts, my Aba would sort them by size, and take them to the market to sell to the wholesale cashew dealer. Those were the days Aba would bring back delicious snacks like these Biscuit Ambade, which made all that foraging for nuts pretty worthwhile. Coming back to more recent times, I was so into the Mma Ramotswe books, that I had to source myself some of that redbush tea that she was always drinking. Every time I drank my hot, redbush tea, I would imagine myself in Botswana, sitting under that thorny tree and watching the world go about its business. I drank copious amounts of this tea when I was pregnant too. My mum came over to help me out a couple of months before I was due to give birth, and my mum, being the busy bee that she is, couldn't sit still for a minute. Within a week, my house was sparkling and spotless, my laundry was washed, ironed and folded and my kitchen cupboards were organised with military precision. And then, mum dearest got very bored. So one day, just to stop her from prowling around the house, I gave her the first book 'The No.1 Ladies' Detective Agency'. Like me, she was hooked from the start, and now we have a tradition whereby as soon as a new book is released in the series, I buy it here, read it, and then post it to her. Mum also got addicted to redbush tea, just like me, and we spent many a happy winter afternoon in my small English house, drinking cup after cup of redbush tea and discussing the books and life in general. 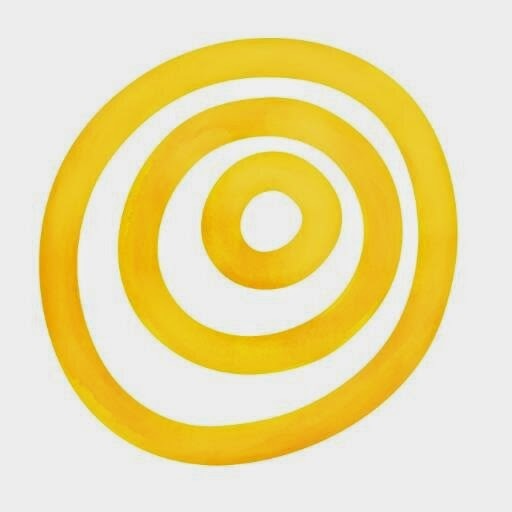 Its with a tinge of sadness that I look back on this time, where as I was preparing to be a mother myself, my own mother and I really bonded together in a way that I found hard to do when I was growing up. So, rooibos, or redbush tea has a very special place in my heart and my life. Its an incredibly healthy drink, and filled with antioxidants, as well as being low on caffeine and tannins, which makes it a really good alternative to regular tea. So, when it finally got back to being hot here in Edmonton, I decided to make a special twist on this light, flavourful tea. 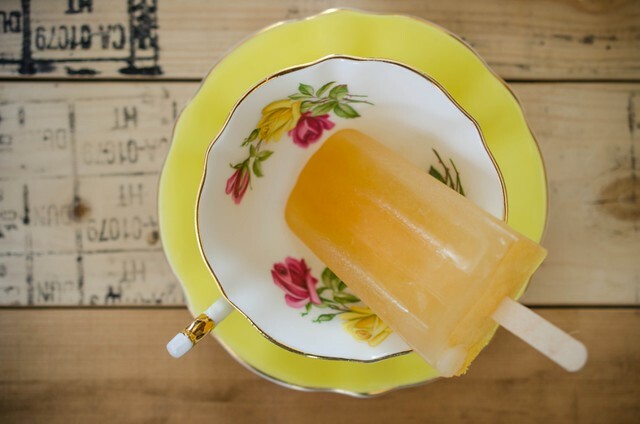 Iced redbush tea, but in popsicle form, enhanced with the tang of lemon and the spiciness of ginger. Steep the teabags in the boiling water for 2 - 4 minutes. Stir in the honey, lemon juice and ginger syrup. Taste and adjust the sweetness/ tanginess to your taste. Let cool. 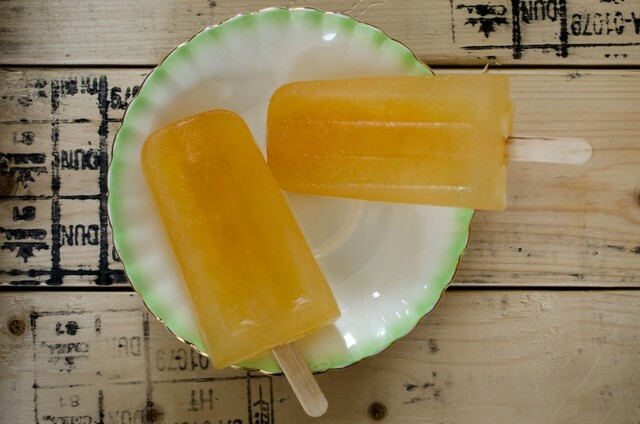 Pour into popsicle moulds, and top with popsicle sticks. Freeze until solid. Makes 10 popsicles, depending on the size of your moulds. What a totally brilliant idea! 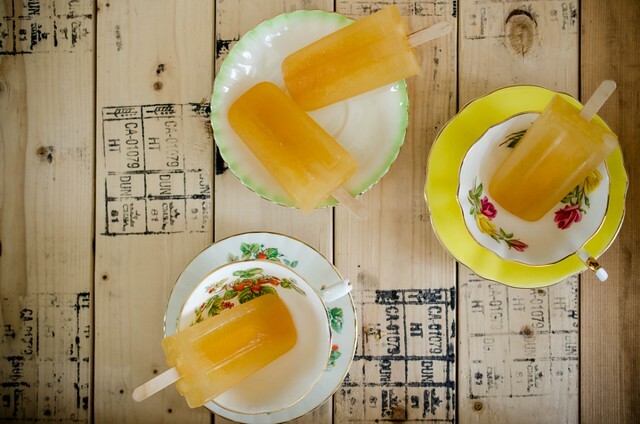 I never would have thought of tea popsicles! Hope you're having a great summer! I don't think Mma Ramotswe would disapprove of anything so refreshing - she's fond of a little treat now and then. Lovely idea. my sister's hooked on Mma Ramotswe's books too, I guess I'll have to try both because it's just too good a combination, my love for spiced rooibostea, books and popsicles all in one... Brilliant indeed!